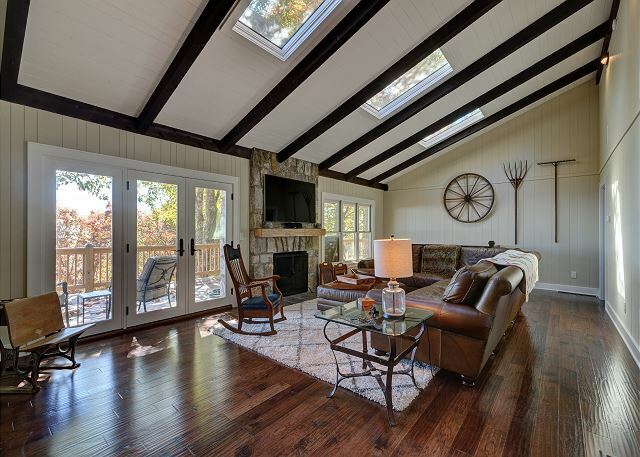 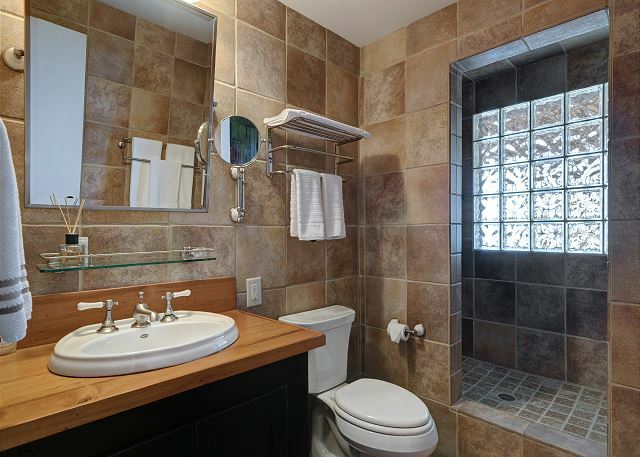 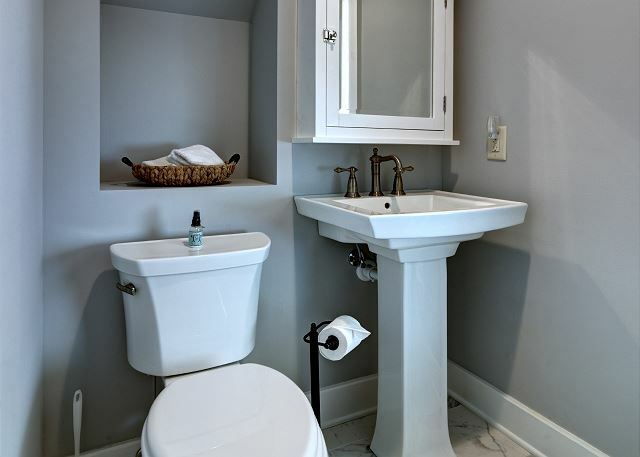 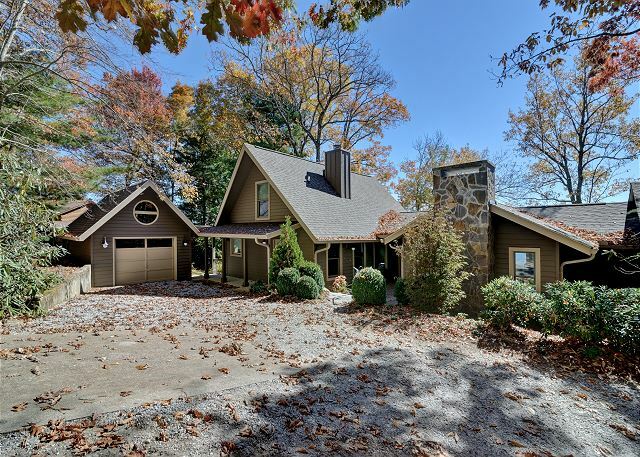 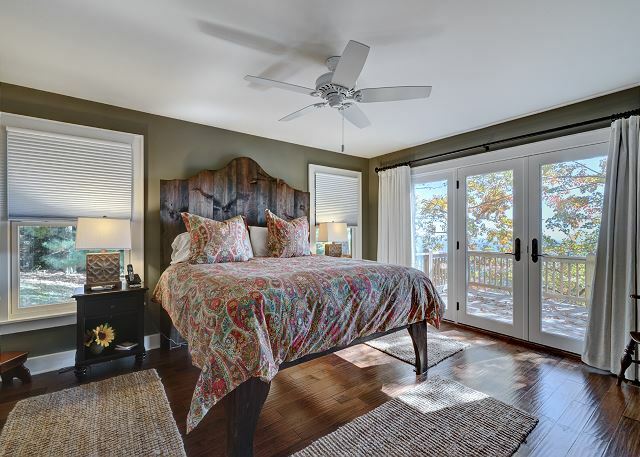 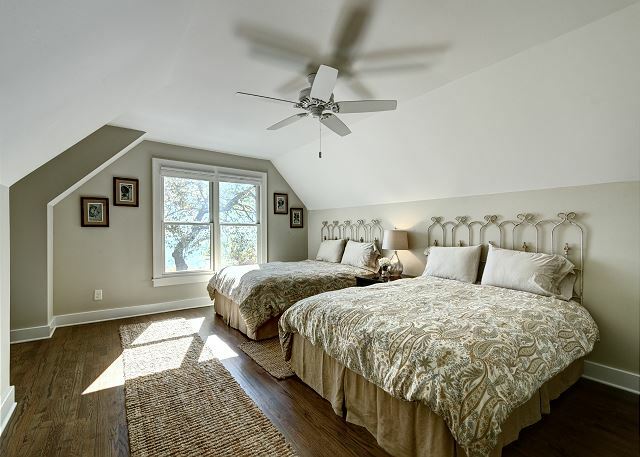 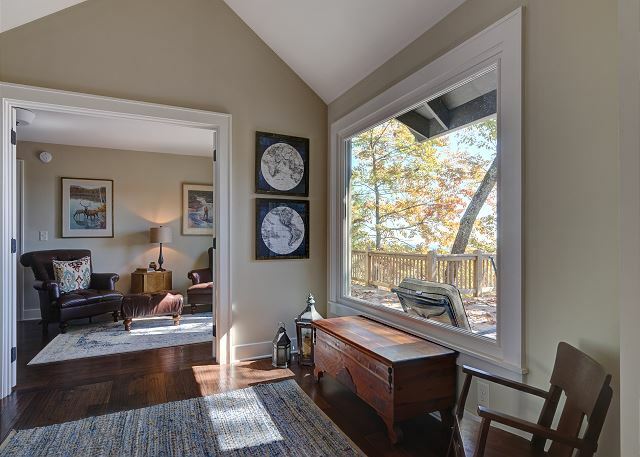 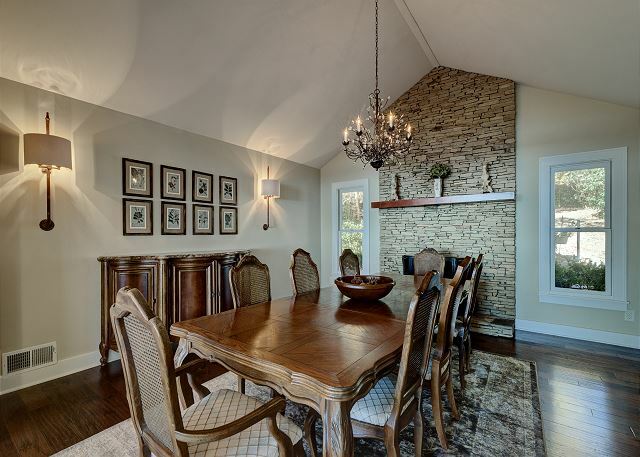 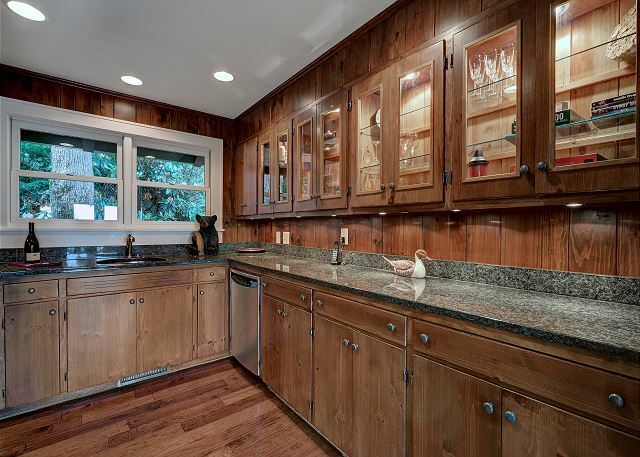 This beautiful home is perched on top of Moon Mountain in the resort town of Highlands NC. 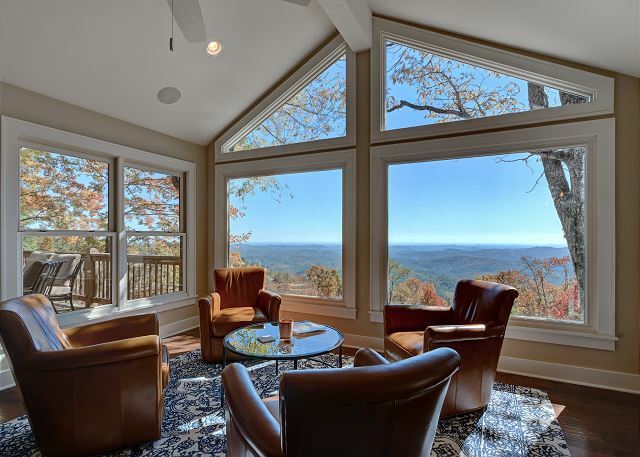 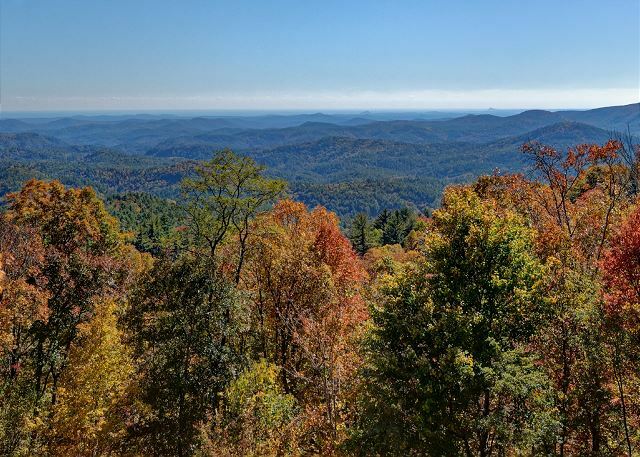 Offering stunning long range views across the mountain tops to SC and GA! 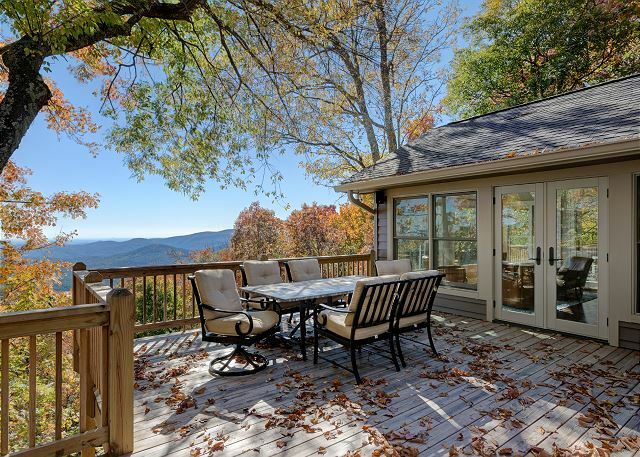 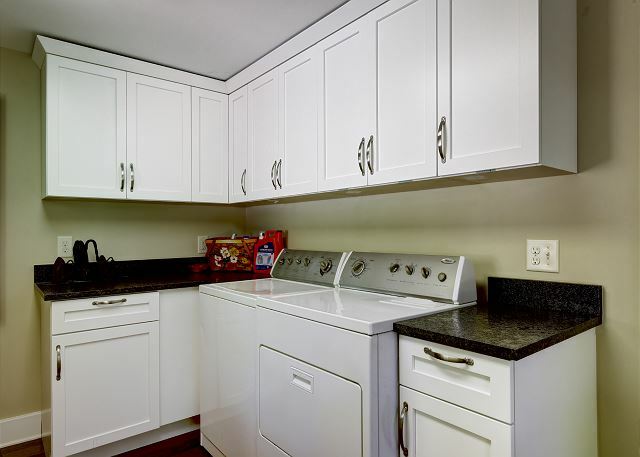 Enjoy amazing sunsets from either of the 2 large open decks. 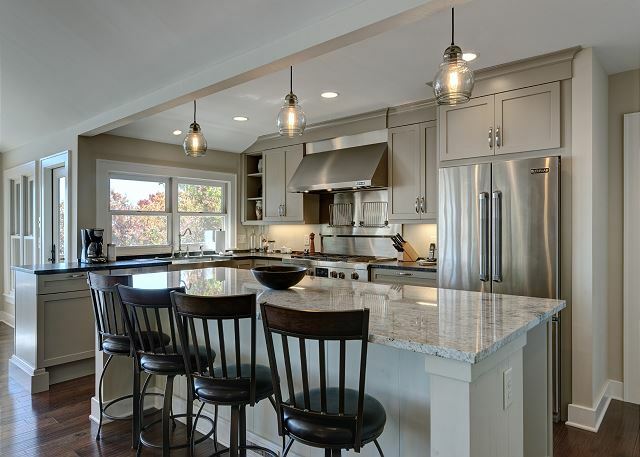 Gather for around the oversized granite topped kitchen island for a fantastic meal from the well appointed chefs kitchen. 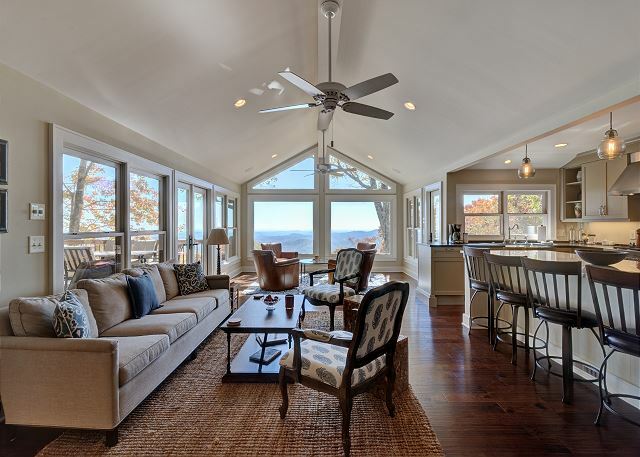 The kitchen is open to great room with walls of glass to take in the views. 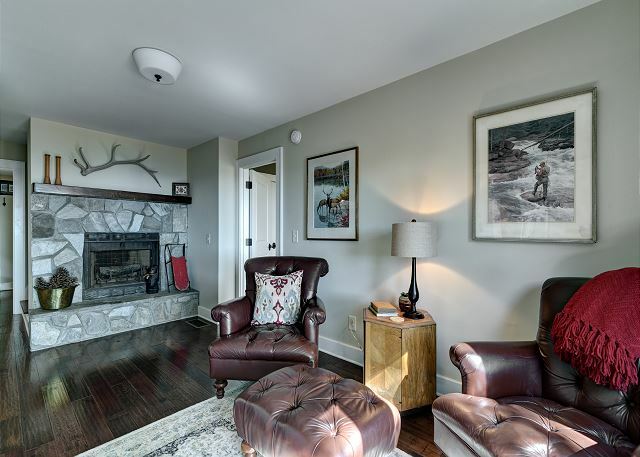 Or relax in front of a cozy fire in the living room. 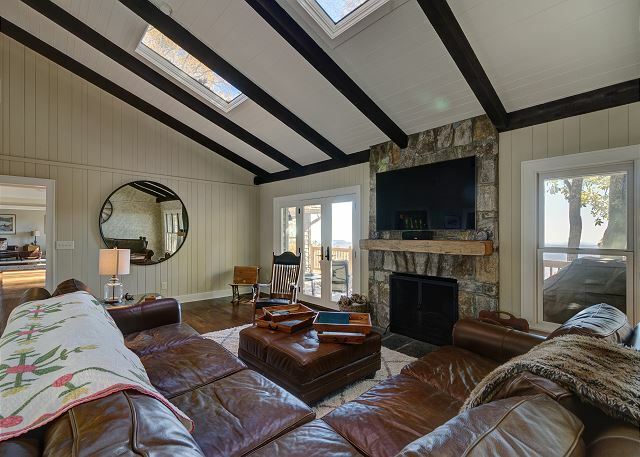 With a large flat screened tv above the mantle and huge leather sectional couch, this is the perfect place to enjoy a movie night or relax with family and friends. 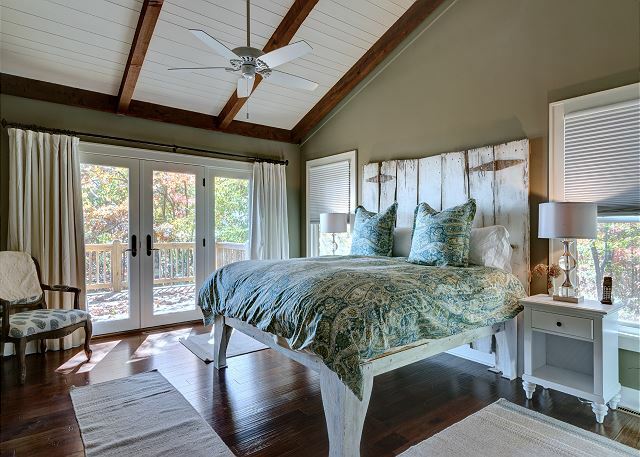 This home features 2 master suites that mirror each other. 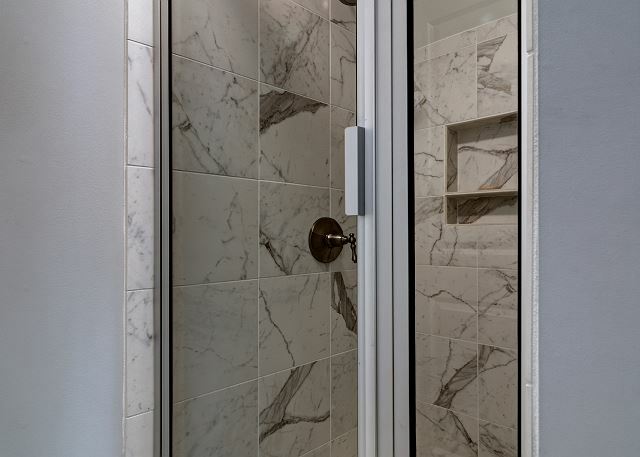 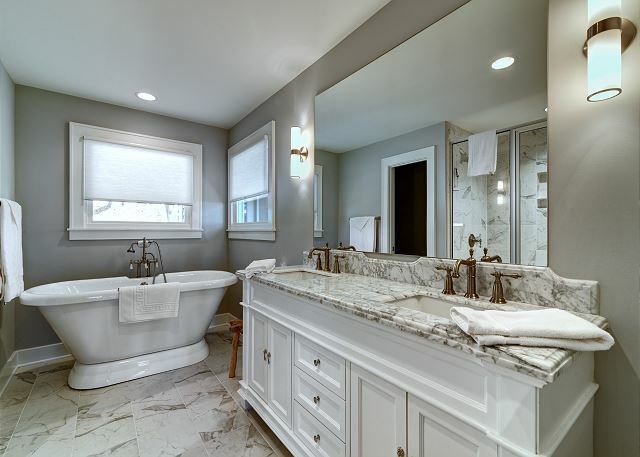 One in the east wing and one at the west, both adorned with beautiful spa-styled marble baths. 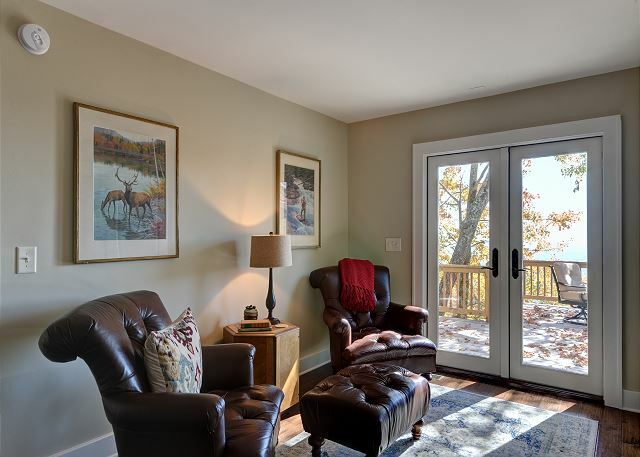 Outside of the east wing master is a cozy sitting room and 3rd fireplace. 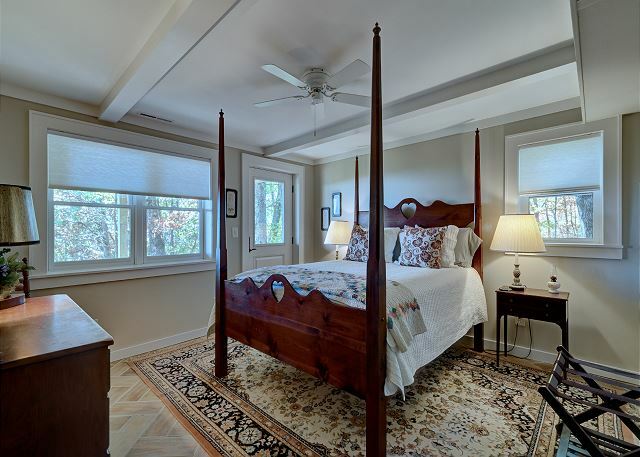 On an upper level in the east wing there is also a large bedroom with 2 queen beds, a private bath and an office/reading nook. 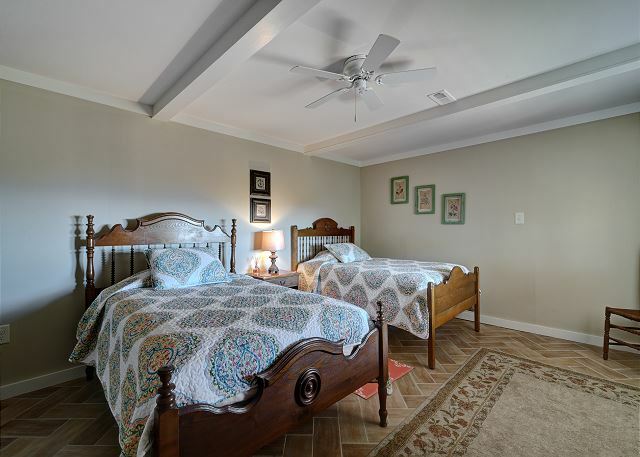 Two lower level bedrooms share a bath in the west wing, with two fulls and one queen. 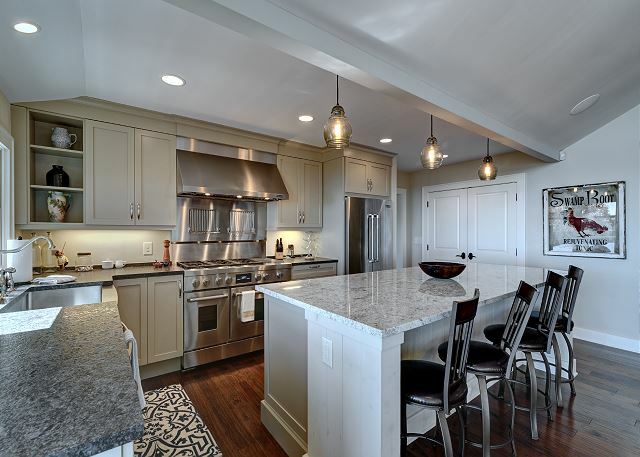 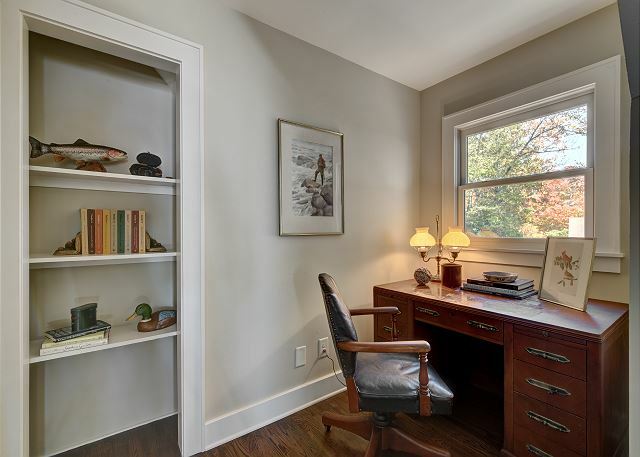 Newly remodeled this winter by John Lupoli Construction, this home is one marked with high quality craftsmanship throughout.